Mark Seeger, CEO of San Francisco-based Mission Motorcycles, Inc. intends to file for Chapter 7 bankruptcy, as the company has no more money and can't continue operations. According to newspapers, Seeger has even sent a letter to the court explaining that the company has so little money that they can't even afford hiring an attorney. Even though the demise of Mission Motorcycles might not come as a shock for the ones who have been rather skeptical about the future of the company and its projects, those who made a deposit for one of the two bikes that were supposed to be built will not be too happy. In case the bankruptcy claim is admitted by the court, it means that the would-be customers will simply lose their deposit. All the assets of Mission Motorcycles would then be liquidated to repay creditors, and it's hard to believe that the money will be enough. Apparently, the whole hype in the last period was nothing but smoke and mirrors, as Mission Motorcycles seems to have relied entirely on the now-defunct powertrains manufacturer Mission Motors. As Mission Motors kicked the bucket, seeing Mission Motorcycles go down was a matter of time, unfortunately. It will be interesting to see what the court has to say in this matter as some of the customers might interpret the whole story in a very bad way. That is, holding Seeger responsible for covering up the poor financial state of the company, misleading the customers and hiding the truth. 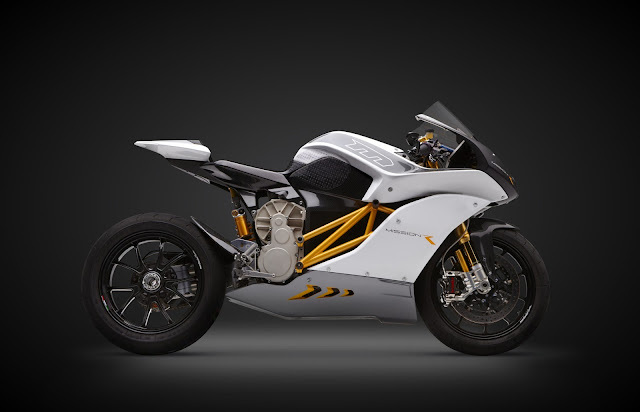 Mission Motorcycles has previously shown two cool versions of their electric bike, the racing-oriented RSand its street-legal model, the R. However, as the powertrain was suitable for track use, A&R says that it was nowhere near reliable enough to comply with the rigors of daily street use. Technically, the entire powertrain of the Mission RS had to be redesigned with a completely different approach, and made reliable enough for the consumer product status. As you might guess, this didn't happen. At the time of writing, nobody seems to know whether any motorcycles have indeed been manufactured. Rumors in the media claim that production was allegedly to debut in the second or third quarter this year, but no further info is available. The Mission RS racing machine should have been manufactured in a limited run of only 40 units, with no cap on the street-legal Mission R bike. The Mission RS and R were rumored to surface for prices under $60,000 (€52,800) and $30,000 (€26,500), respectively, but again, this will not happen. As to whether another motorcycle manufacturer or investor is willing to get hold of what's left from Mission Motorcycles and Mission Motors and start anew, it's anyone's guess. Some rumors see Harley-Davidson possibly being interested in the Mission powertrain business, but this might be only wishful thinking from the H-D LiveWire fans.